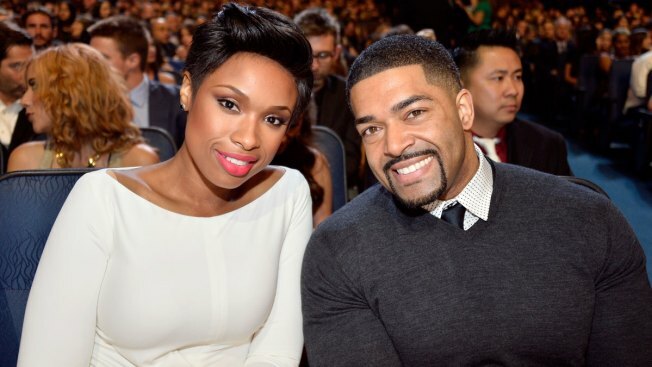 Jennifer and David are parents to an eight-year-old named David Daniel Otunga Jr.
Jennifer Hudson may not have her fairy tale ending with David Otunga after all. The couple have broken up and ended their relationship after 10 years, People confirms. "They have been in the process of ending their relationship for a number of months," Hudson's rep said in a statement to the publication. In addition, the singer's rep confirmed that the courts are already involved with their split. "Today, Jennifer requested and received a protective order against her ex-fiance," the statement concluded. "Jennifer's actions are solely taken in the best interest of their son." Hudson and Otunga are parents to an eight-year-old named David Daniel Otunga Jr. Fans of the couple remember when the former pro wrestler proposed to Hudson in September 2008 after less than a year of dating. And while the couple rarely talked about wedding plans, the pair appeared to be a strong Hollywood couple. "I'm not in a hurry. He's not going anywhere," Hudson previously told Ellen DeGeneres when asked about saying "I Do."